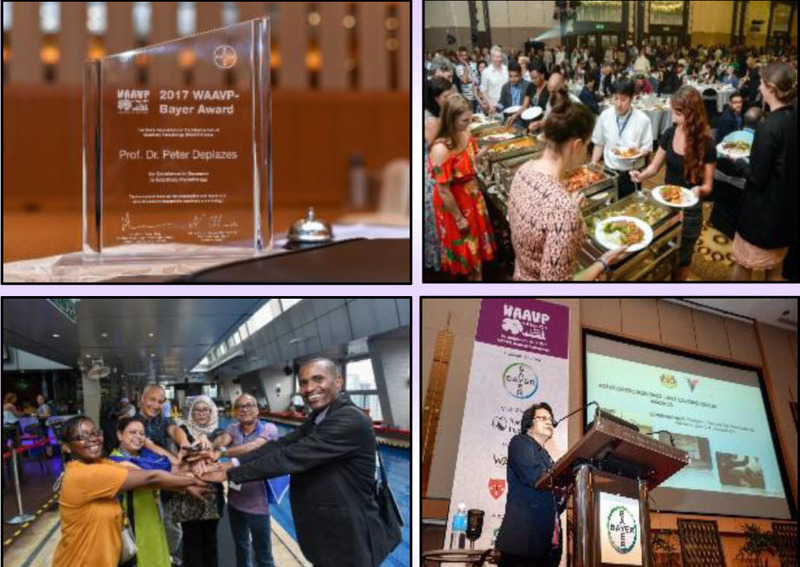 The 26th International Conference of the World Association for the Advancement of Veterinary Parasitology in Conjunction with 53rd Malaysian Society of Parasitology & Tropical Medicine Annual Conference was held from 4-8th September 2017 at the Kuala Lumpur Convention Centre, Kuala Lumpur with the theme entitled “Combating Zoonoses : Strength in East-West Partnership”. Over the past 52 years, the event is held every two years in major cities all over the world. The Chairperson of the WAAVP 2017 KL Local Organizing Committee, Dr Ramlan Mohamed has indicated that we are proud to have this event in Malaysia; in KLCC, a venue with the backdrop of the famous Petronas Twin Towers, which is one of the world’s most recognized landmarks. The conference was officiated by YBHG. Dato Dr. Quaza Nizamuddin Hassan Nizam, Director General of Veterinary Services, Malaysia. Invited plenary speakers were Prof Robin Gasser, Prof Nicholas Sangster, Prof Domenico Otranto, Prof Mark Carrington, Dr. Carlos Lanusse, Dr. Chandrawathani Panchadcharam and Prof Shin-Ichiro Kawazu. Keynote speaker, Emeritus Prof Dato’ Dr CP Ramachandran from The Academy of Sciences, Malaysia gave a fantastic talk on “One Health, Zoonosis and the Ivermectin Story”, an experience that he was closely involved in. A symposia on current information on important parasites for mankind from Bayer, that is; on Varroa; anexternal parasite of honey bees which causes mortality in bee colonies in USA was presented by Prof Dennis van Engelsdorp and testing for Guinea worm by Dr. James Zingeser from USA. There were five concurrent sessions on various topics over the 5 days conference. There were more than 614 registered delegates coming from 54 countries. The response for papers in this international conference was overwhelming because of the venue and also the science with more veterinarians and scientists from South East Asia taking this opportunity to attend this conference. A total of 3 symposia, 7 invited speakers, 255 oral papers and 210 poster papers were presented during the 5-day conference. There were also rapid oral presentation in two session with 66 participants. There was also a special session on “Photo Hunt” for all the participants to discover KLCC and take pictures with their own creativity in small groups and prizes were given for the best picture. On the last day of the conference, we had conference dinner and MSPTM Awards presentation in InterContinental Hotel, Kuala Lumpur. The closing ceremony was officiated by our YB Dato’ Sri Haji Tajuddin Abdul Rahman, Deputy Minister of Agriculture and Agro-based Industry with General of Veterinary Services, Malaysia. 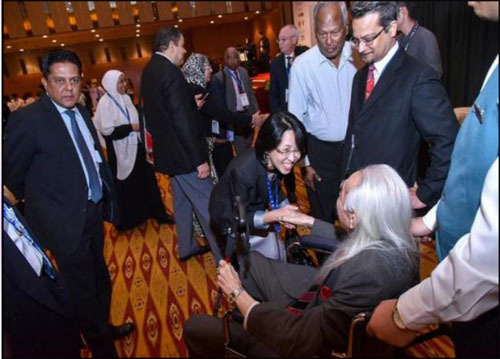 Overall it was a wonderful and exhilarating event and for our foreign visitors… a truly unforgettable experience visiting Malaysia enjoying WAAVP 2017 KL, where Great Minds Meet. For more pictures please visit here.